Saturday night marked the final show of Ocean Alley’s Chiaroscuro Australian tour, and they were going to go out with a bang. 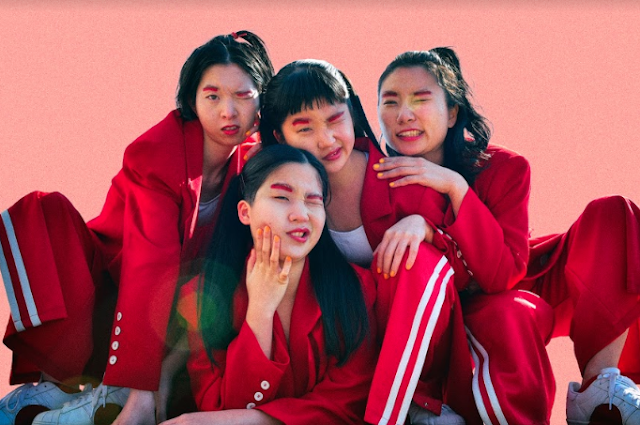 The six-piece from Sydney’s Northern Beaches has been busy dominating stages across the country as part of this year's Groovin The Moo festival, as well as their solo shows in Brisbane, Sydney, Fremantle and finally Melbourne. It was clear from the moment that they bounced onto Forum Theatre’s stage that they were in a celebratory mood to mark the end of the tour. They kicked off their part-psychedelic part-groovy set with ‘Corduroy’, which filled the room with their luring brand of sounds. Fans of the band showed their love for Ocean Alley in an array of ways over the course of the night. Whether it was constant screaming, shoulder-rides during their favourite tunes à la outdoor festival style, and their prefered method of showing their devotion to the band... throwing gifts at them. Though it’s uncommon to see that at shows these days, Ocean Alley’s fans didn’t shy away from launching things at them to showcase their love. Once they got into the swing of things, the launched into the tropical vibes of ‘Hold On’, from their previous release Lost Tropics, as well as ‘Muddy Water’, which dates back from their 2015 EP In Purple. As they ploughed through their set in mighty style, listening to their set felt like being caught in a haze. Other tracks they performed included ‘Yellow Mellow’, ‘Partner in Crime’ and ‘Overgrown’. Their rendition of ‘Man You Were’ was beautifully stripped back and provided a brief moment of calm. They rounded out the initial part of their set with crowd-pleaser ‘Confidence’, which set the room ablaze. They then returned to the stage to perform their triple j cover of ‘Baby Come Back’ and ‘Happy Sad’. Something that was missing throughout the night was on-stage banter or tidbits about songs, which bands sometimes share before playing them. Though it was obvious that they were having the time of their lives on-stage, which was contagious for everyone in the room, their interaction with the crowd was minimal. 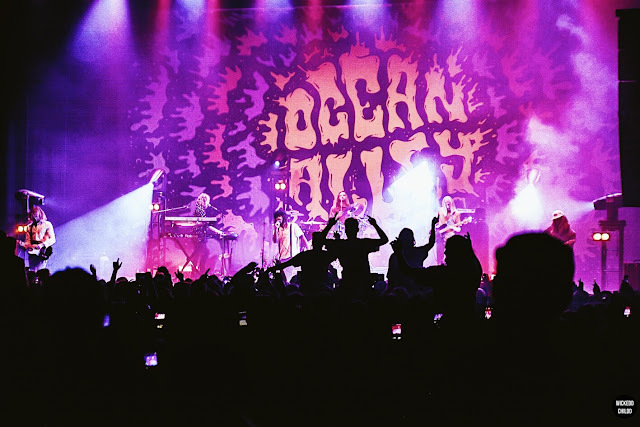 A ticket to Ocean Alley is the golden ticket to a night of enticing sounds, good vibes and endless grooves — do yourself a favour and catch them live whenever the next opportunity arises.